Western Marine – Celebrating 50 Years in Business ! 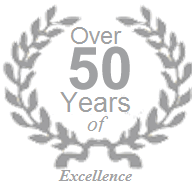 Western Marine Ltd was established in 1966, and celebrated 50 years in business in 2016. Our first shop-front premises was at 18 Ellis Quay, in Dublin’s city centre. We will always be associated with Bulloch Harbour in Dalkey, however. We opened our Showrooms, Workshop and Boatyard in Bulloch in 1968, and this was our home for 48 years until 2016, when we sold our premises and moved out. Our Sales Office in Glenageary is focussed primarily on our Zodiac and Zodiac MilPro business, catering to Dealers, Government bodies, Commercial Organisations & of course private boat owners. We have exciting plans to develop our business, and we look forward to broadening the range of services we provide in the near future.